Join our team of maintenance experts: work at the forefront of maintenance innovation in China… and the world, while having fun with great people! 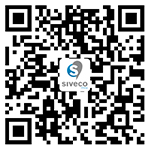 China's largest maintenance consultancy, pioneer in Maintenance 4.0 technologies, Siveco is hiring motivated staff for the following positions based in Shanghai. To support continuing fast growth in our target market segments, we are hiring Account Managers responsible for sales revenue in their respective markets. Working together with our industrial and technical experts, Account Managers are expected to proactively generate new leads, follow opportunities and secure orders. Performance is measured on rapid sales pipeline progress and sales quota in our CRM. All new Account Managers go through a 3-weeks training program, followed by a 6-month mentoring plan with a company senior staff. Applicants to all positions above should attach a short application letter stating the position applied to (including target market) and specifying their strengths for the position, based on reviewing the requirements above and our company's profile. Non-conforming applications will be ignored. Please send both English and Chinese resume and one recent photo to hr@sivecochina.com. As part of our product team (bluebee® lab), we are hiring an intern specialized in web and mobile design. Applicants should attach a short application letter stating the position applied to, after reviewing the requirements above and our company's profile. Non-conforming applications will be ignored. Please send both English and Chinese resume and one recent photo to hr@sivecochina.com. Consultants are responsible for implementing our Maintenance 4.0 solutions in customers' projects, as well as for presales consulting. Engineers often follow the entire project, from presales to delivery and Go Live, to ensure continuity in our service to customers.